The adoption of new technologies are heavily transforming the nature of jobs. According to the OECD’s Future of Work 2018, 46% of jobs are facing high risk of automation or substantial change. Routine tasks are increasingly becoming automated, while newly created jobs require different competences. Businesses are increasingly struggling to find the right profiles to fill their job vacancies. 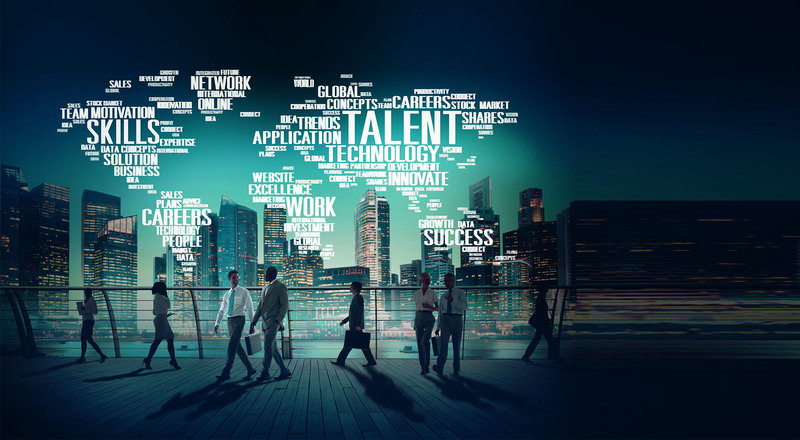 According to a 2019 CEOs Survey, 79% of CEOs are worried about finding and hiring employees with the right skills they require to succeed in the digital world. This leads to an ever-growing skills gap that risks to slow down future growth and exasperate social disparities. It calls for a large-scale effort to upskill and/or reskill the workforce. According to the WEF’s Future of Jobs Report, 54% of employees will require significant re-/upskilling by 2022. A skills paradigm must be developed to meet the demands of industry. The event will convene senior business executives, policy makers and academics to foster dialogue as well as to agree on priorities and concrete measures, in order to facilitate the implementation of upskilling strategies. Member States and EU policies need to develop and adapt their programmes and incentives to better anticipate and cope with change and allow individuals and organisations to acquire high-tech skills and provide the economy with a larger talent pool. Education and training systems in Europe need also to react on these new demands and develop appropriate training offers. The situation at national level and EU level has been analysed as well as the potential synergies between the different instruments with a view to identify successful ones, i.e. best practices. These should be scaled to become even more successful. They should also serve as a guide for better focusing and improving funding programmes and incentives. If you have any questions, please contact Werner B. Korte (werner.korte@empirica(dot)com) or write to upgrade@empirica(dot)com. Disclaimer: Reproduction is authorised provided the source is acknowledged. The information and views set out in the website are those of the author(s) and do not necessarily reflect the official opinion of EASME, the European Commission or other European institutions. EASME does not guarantee the accuracy of the data included in the website. Neither EASME, nor the Commission or any person acting on their behalf may be held responsible for the use which may be made of the information contained therein.